A haven of relaxation overlooking the lagoon, offering an array of indulgent spa, hair and beauty treatments. Our stunning infinity pool extends onto the beachfront, its waters reflecting the sky’s ever-changing colours. Relax on daybeds and take refreshing dips as you admire the ocean and the sunsets. View our Kids Club daily activities schedule here. 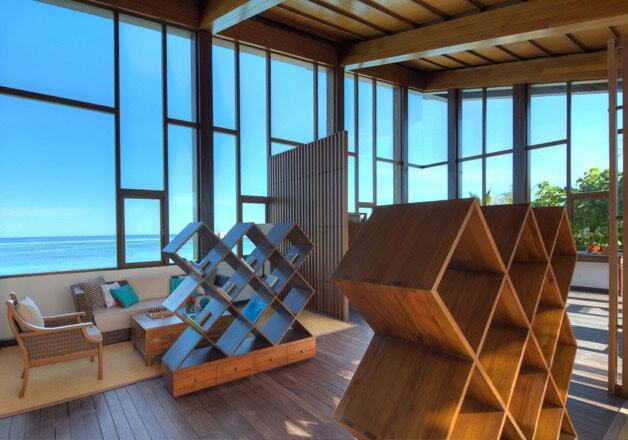 Located above the lobby overlooking the lagoon, the Library features an extensive collection of paperbacks, reference books, DVDs, CDs and board games as well as Internet services.